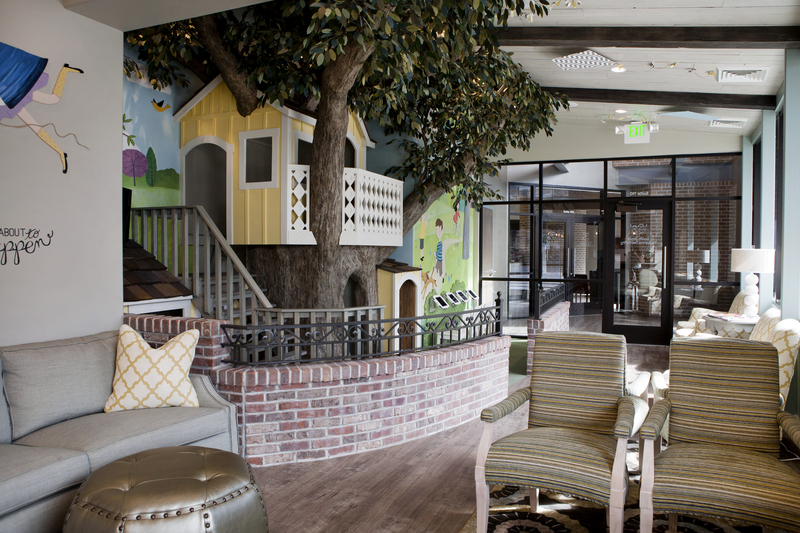 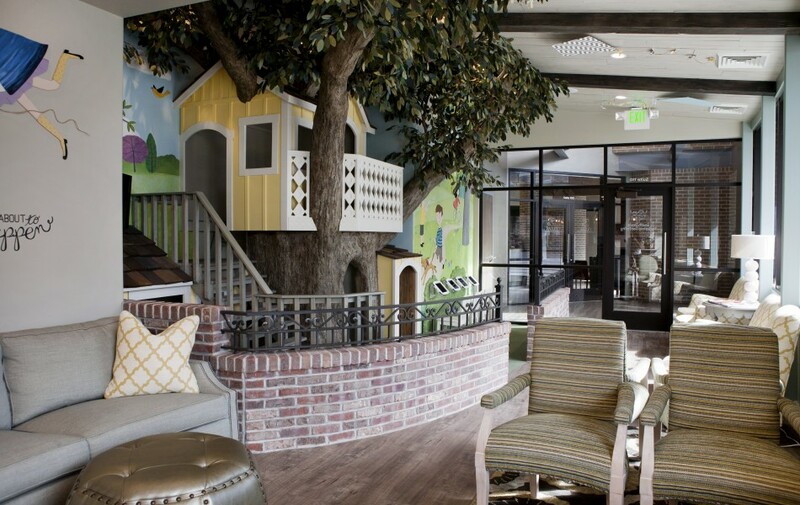 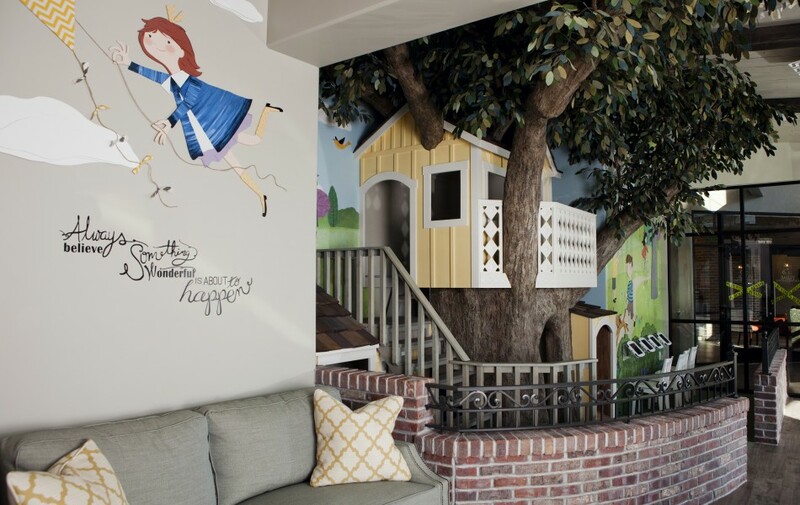 Playroom design, including murals, cutouts and treehouse: Kirk Larsen; furniture and custom-made couches: Noble House Furniture and Design, Bountiful, Utah. 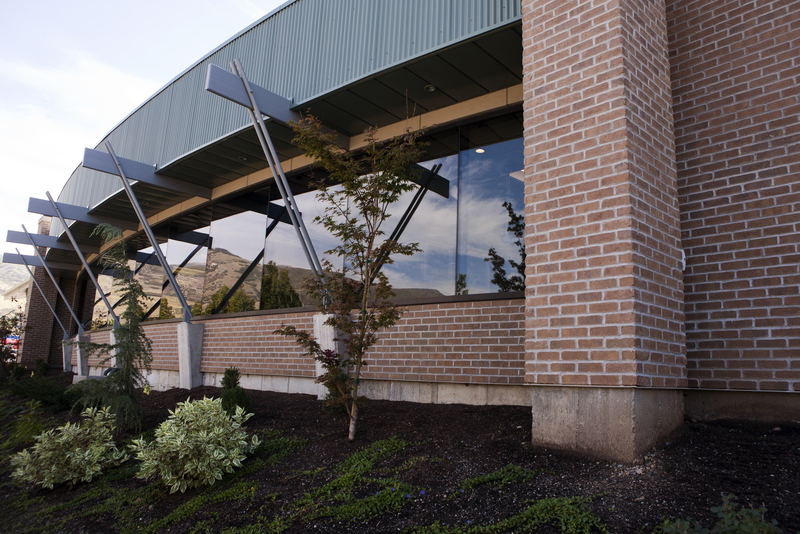 Photography by Samantha Mitchell: ESEM Productions, Salt Lake City, Utah. 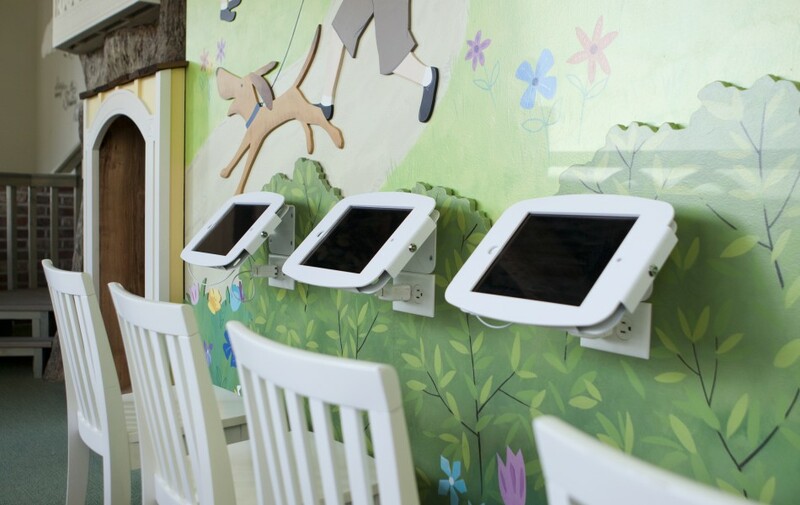 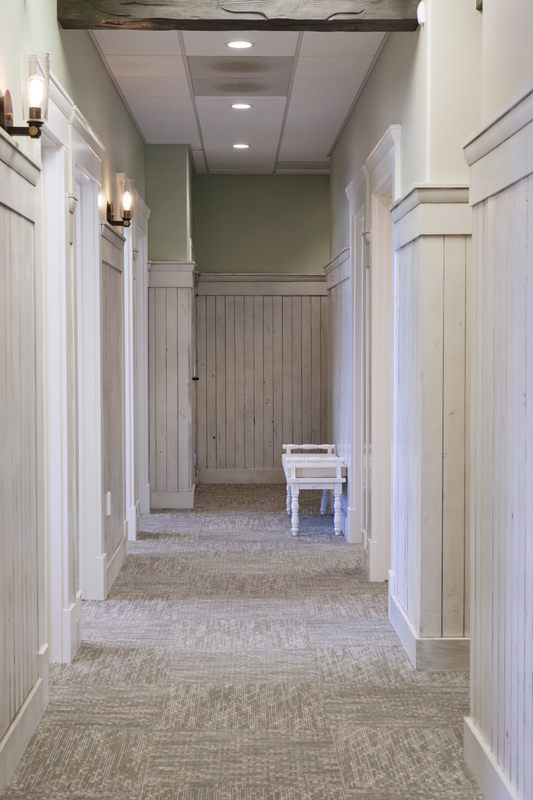 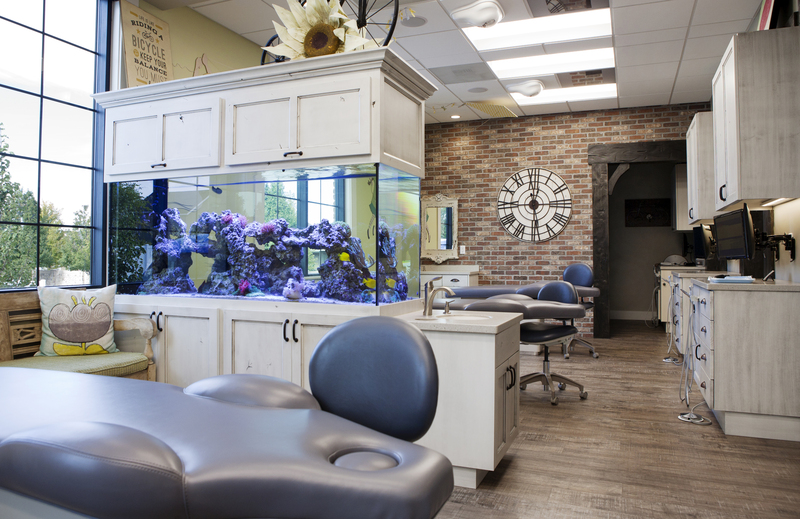 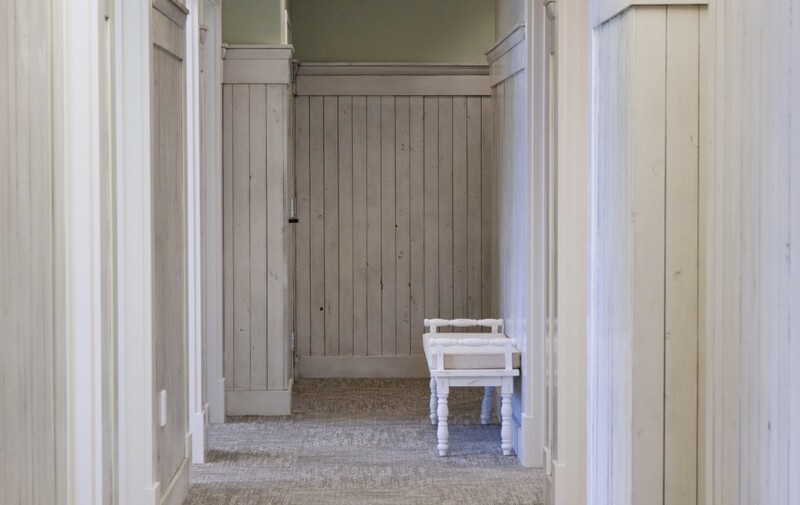 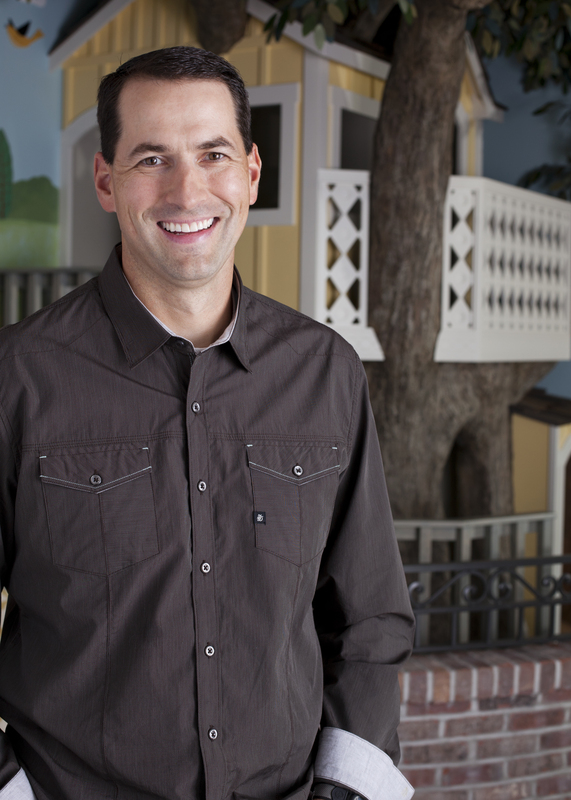 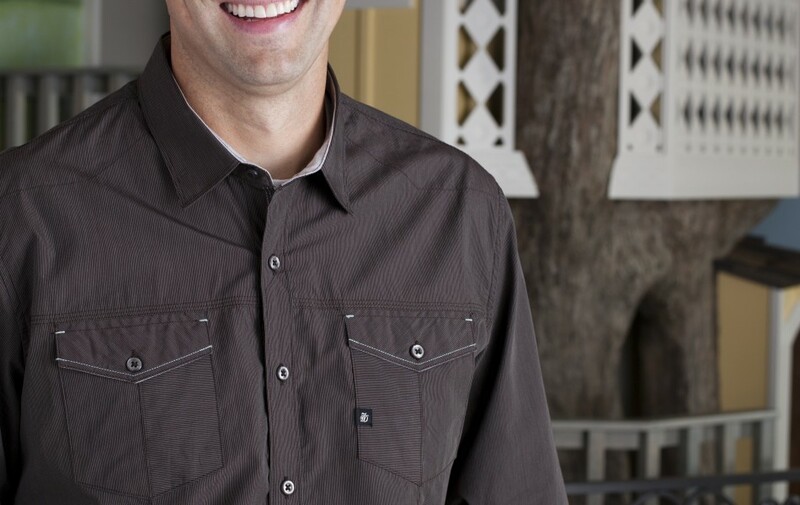 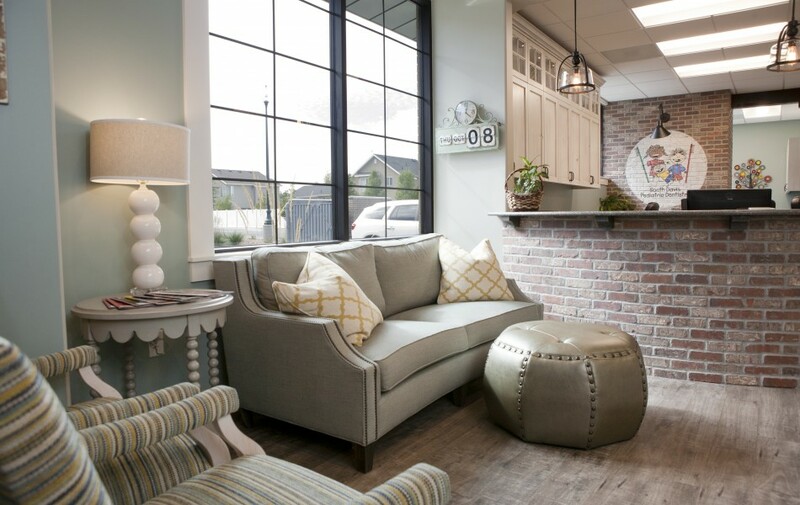 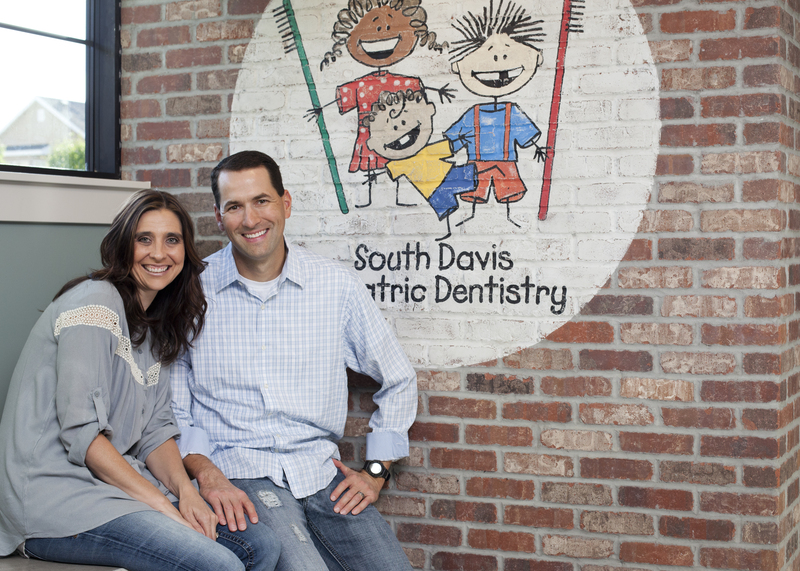 PARENTS OF PATIENTS who visit Dr. Jason Horgesheimer’s 3,500-square-foot pediatric practice in Bountiful, Utah, often ask him for something unrelated to their kids’ dental care: interior-design pointers. 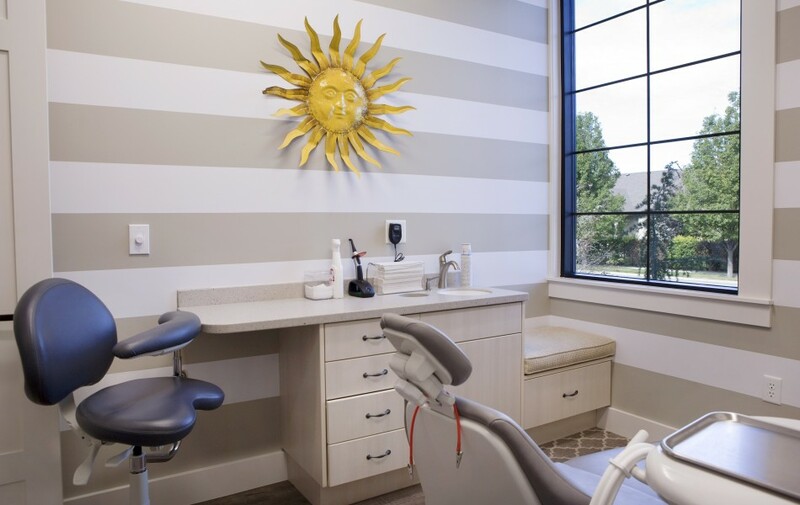 Dr. Horgesheimer, 44, requested that Benco Dental CenterPoint Designer Megan Chuzas create color swatches he could share with parents who visit South Davis Pediatric Dentistry and ask about the aesthetics. 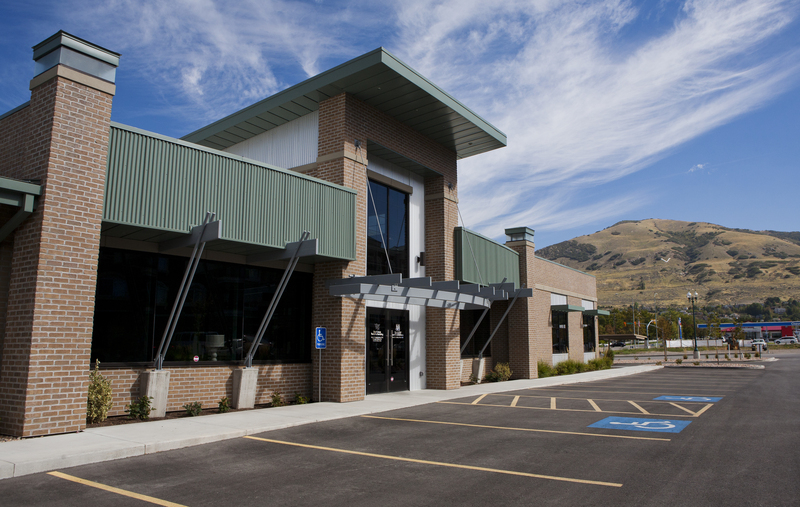 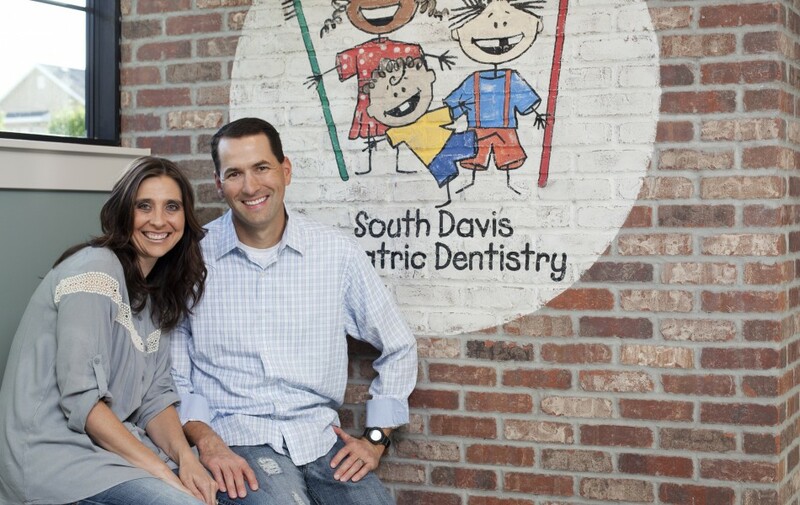 South Davis is Dr. Horgesheimer’s third practice in the Salt Lake City area; Kurt Dehart of IDI Construction, who created his first two, took the lead on this one as well. Inspired to deliver an inviting, non-threatening venue, Dr. Horgesheimer and his team built the practice with an outdoor park in mind. 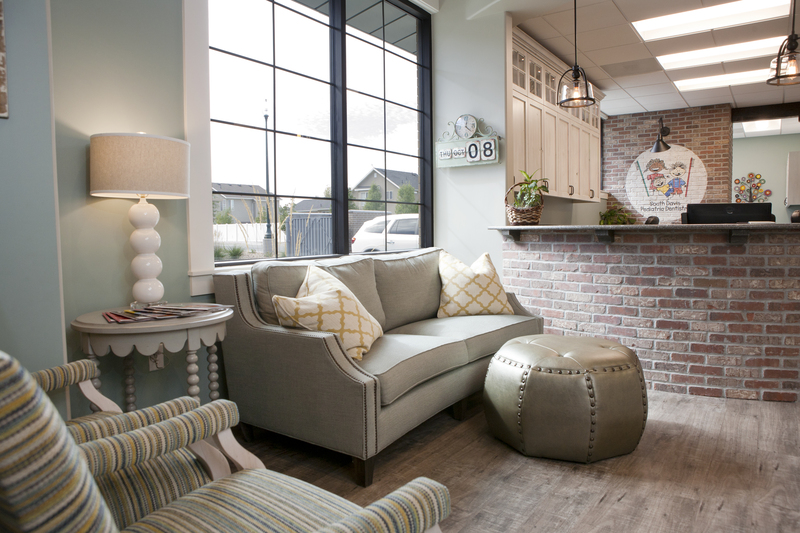 The interiors came together over four months, with guidance from both Chuzas and, closer to home, Dr. Horgesheimer’s wife of 23 years, Kristi. 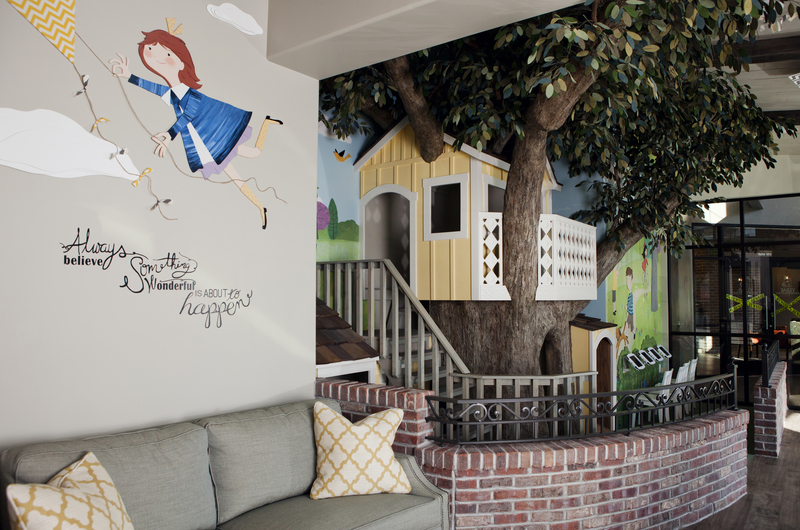 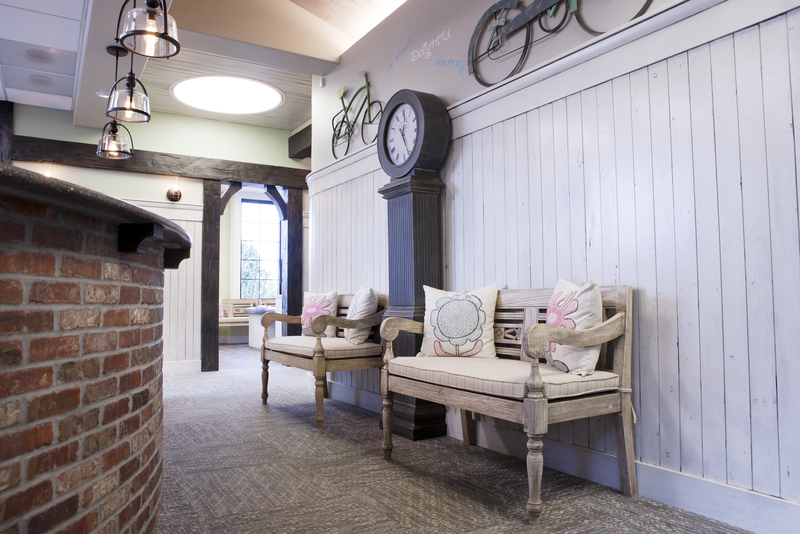 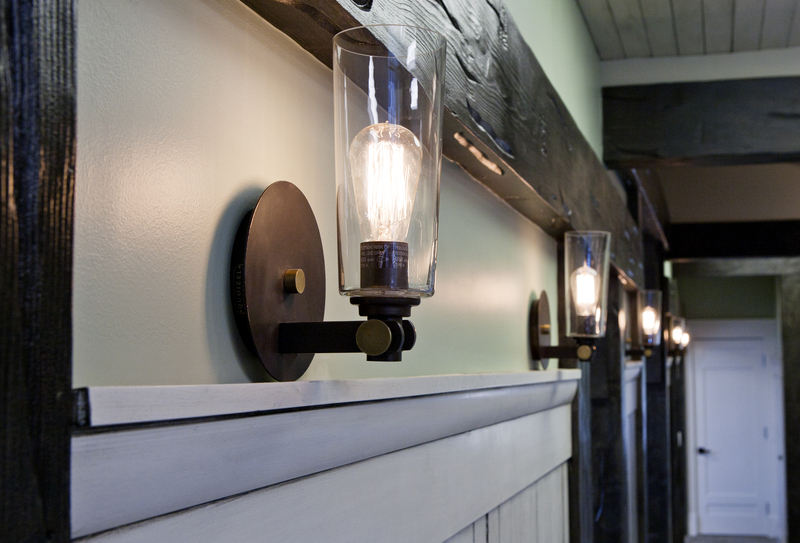 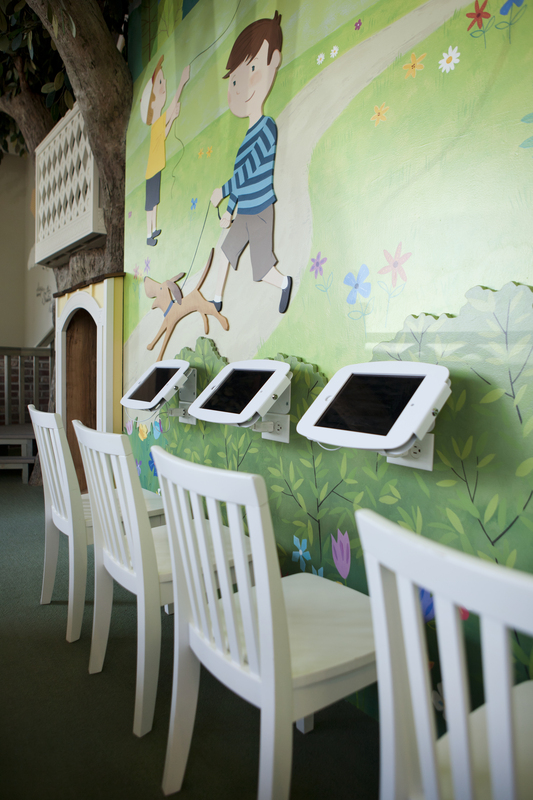 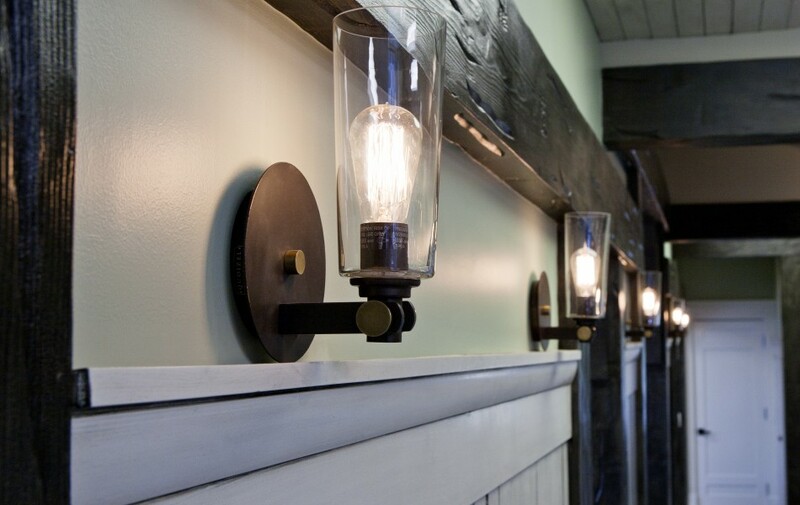 Sconce lighting, wall coverings and whimsical accessories — bicycles, kites, clocks, artwork — were Kristi’s choices; she also worked closely with artist Kirk Larsen on the 3D cutouts, murals and playroom. 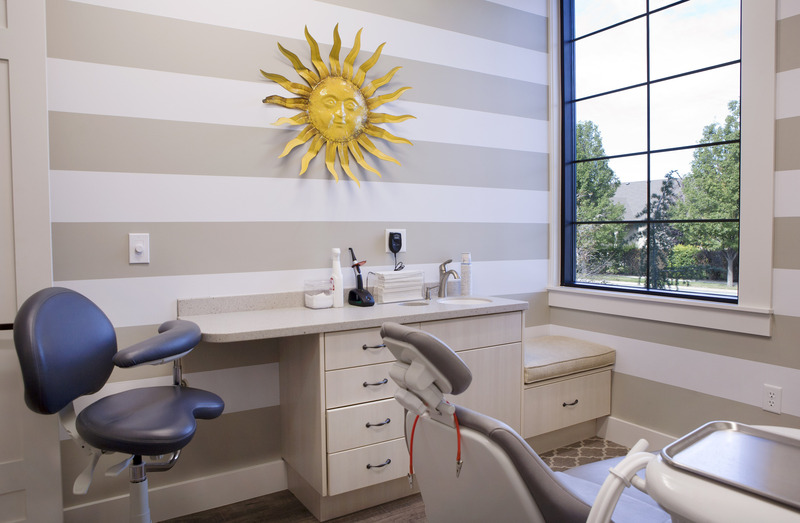 “Megan did a phenomenal job of finding solutions to our needs,” Dr. Horgesheimer says. 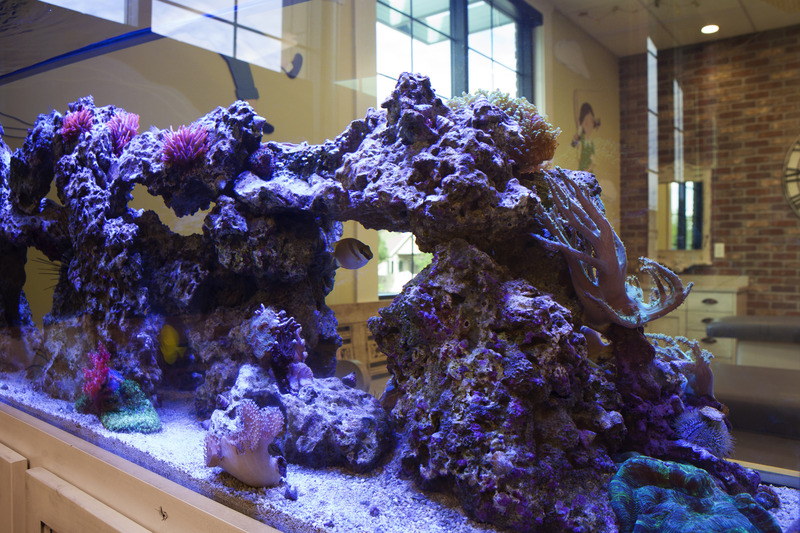 “We really like the archways and open environment.” The colorful, calming centerpiece of the space: a 300-gallon saltwater tank filled with coral and fish.